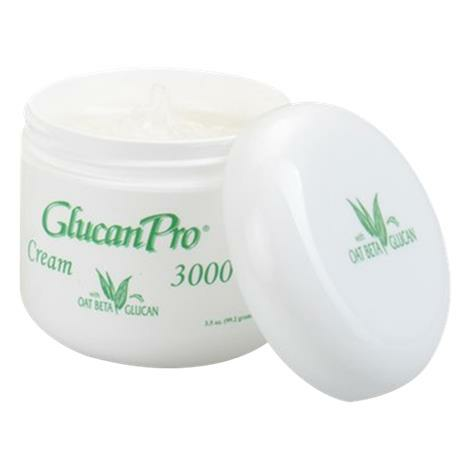 GlucanPro 3000 Oat Beta Glucan Occlusive Ointment creates an occlusive barrier that retains moisture and minimizes heat loss. The consistency of the product provides coverage that remains in place, making it effective for hard to cover areas and post-resurfacing procedures. GlucanPro 3000 provides a moist healing environment with the associated benefits of Beta-Glucan and decreased pain by providing an occlusive barrier. How To Use GlucanPro 3000 Ointment? Research has shown Beta-Glucan to be an exceptional biological response modifier, which stimulates the macrophage activity and promotes rapid wound healing. Main Ingredient of Glucanpro 3000 is Oat Beta-Glucan. It contains paraffin wax and other active ingredients mainly oat beta glucan, an oat derivative which is currently indicated for the management of superficial abrasions, scrapes, and cuts. Main ingredient is Oat Beta-Glucan, a complex carbohydrate technology derived from the cell wall of oats . It has exceptional biologic properties which provide an optimal wound healing environment. It contains paraffin wax and other active ingredients mainly oat beta glucan, an oat derivative which is currently indicated for the management of superficial abrasions, scrapes, and cuts. What are the exact ingredients of this product? Main ingredient is Oat Beta-Glucan, a complex carbohydrate technology derived from the cell wall of oats . It has exceptional biologic properties which provide an optimal wound healing environment. It contains paraffin wax and other active ingredients mainly oat beta glucan, an oat derivative which is currently indicated for the management of superficial abrasions, scrapes, and cuts. Can this be used on an open wound that was caused from a burn? Is it also recommended to use on burns tht is healing and now looks like a sun burn? 1. Apply GlucanPro® Cream liberally to the affected area. Thank you for reaching out to us. Yes , it may be used.